So far working on my bike it seems I have had ro use both. Which is is supposed to be, SAE or metric sizes? While I am at it, anyone know what size and thread pitch the bolts that hold the muffler to the crossover pipe is on a 2007 Sportster? Switching my foot controls out, I came across one that the head of the bolt was rounded, and I need to replace it. I am referring to the ones that bolt from underneath, and are slightly larger than a 1/4-20 bolt. About 1" long. its supposed to be all SAE, the previous owner must have sabotaged the bike with mystery metric sizes. Brake calipers might be metric. I have just been messing with a 2008 Custom and the stock muffler to transfer pipe are 1/2" AF and the muffler to header clamp are 9/16" AF. What the actual thread size is I don't know. Not true - metric stuff is slowly creeping onto our Harleys and not before time. My new 1974 Harley had 10mm battery terminal bolts! Your Government signed off a metric Law back in 1975, but forgot to say when it should start! In the meantime be aware that some metric tools may be required when servicing our bikes. Are you talking about #2 in the diagram? Wow lots of good responses. You guys are great. I looked through the catalog and got the bolt number and size, lol. Ut now see it posted. I will stop at hardware store after church. 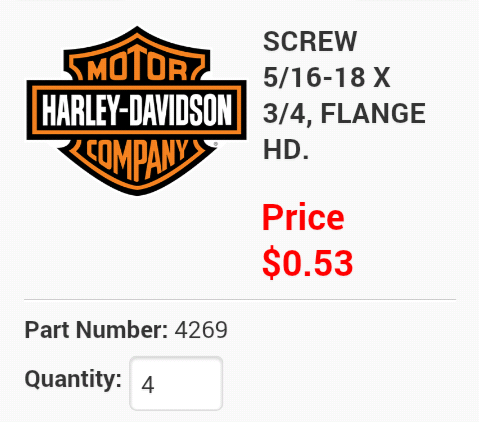 HD dealer is 45 miles away. Catalog is good to have. 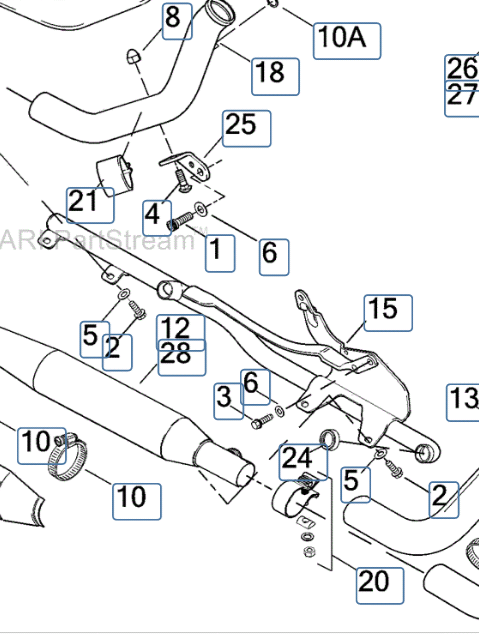 The odd metric I found was the ball screw for the rear brake actuator rod. It was metric, but all the others were sae. Unless it was some real oddball sae size. I couldn't see well enough yesterday to see what size metric. I need to save that catalog to my ipad so I will have it in the future. On a 2007 year bike with the master cylinder under the back isolator the brake rod assembly I think you will find is a T30 torx. Or do you have some kind of Chinese knock-off? Last edited by Andy from Sandy; 11-04-2018 at 11:16 AM. LOL well I told you guys I couldn't see very well. Amazing I got the think off without stripping it. Didn't even slip.